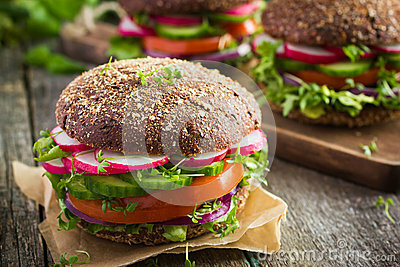 Veggie burger with salat and vegetables concept. KIBE DE QUESO. Best fast food photo.